We love Joanna Carden's refined design style and her ability to transform a space. Meet Joanna Carden, the owner of Joanna Carden Interiors. She's a wife, mother of two, and entrepreneur with a thriving interior design and styling service in DC. Not to mention her Instagram gives us major design inspo and we're not the only ones who think so! Joanna has been featured by West Elm, Brit.co, HomeGoods, Washingtonian Magazine and more! She offers her clients a chic sense of style, smart shopping tips, and a space plan to fit any budget, all to create the perfect aesthetic. Read on to learn more about her styling process and how she launched her business. I started my own interior design business over 2 and a half years ago. I've done styling for photoshoots, several e-design projects, and local home design projects around D.C. I only work part time so that I can stay at home and spend time with my 2 kids! I've had a passion for interiors since high school and finally jumped into it when I was in college at around 19. I was majoring in Classical Liberal Arts and it definitely wasn't something I loved. I decided to switch schools and switch majors. My husband is the one that encouraged me to start my own business after I took a break when we had our first child. 3. What brings you the most joy when designing and styling for your clients? Anytime a client is excited about a design and lets me know that they love it when it's complete, that's when I'm the happiest. The best part is that I can be flexible and am able to stay at home with my kids. I can make my own hours and spend as little or as much time on it. The most difficult part is all of the technical aspects. Pretty much anything business related is difficult for me. I love design, styling, and spending time with clients, not writing contracts and managing a business. Honestly, Instagram is a huge motivation for me. There are several designers and entrepreneurs I follow that I'm continually inspired by. My husband is always encouraging me to keep looking for ways to improve and to be a better communicator in my business, but also outside of it. My nighttime routine usually consists of winding down with a glass of wine, a show or movie with my husband, and spending countless minutes and hours putting our kids to bed and then back to bed again several times over. 7. What’s one piece of advice you would give to other entrepreneurs? 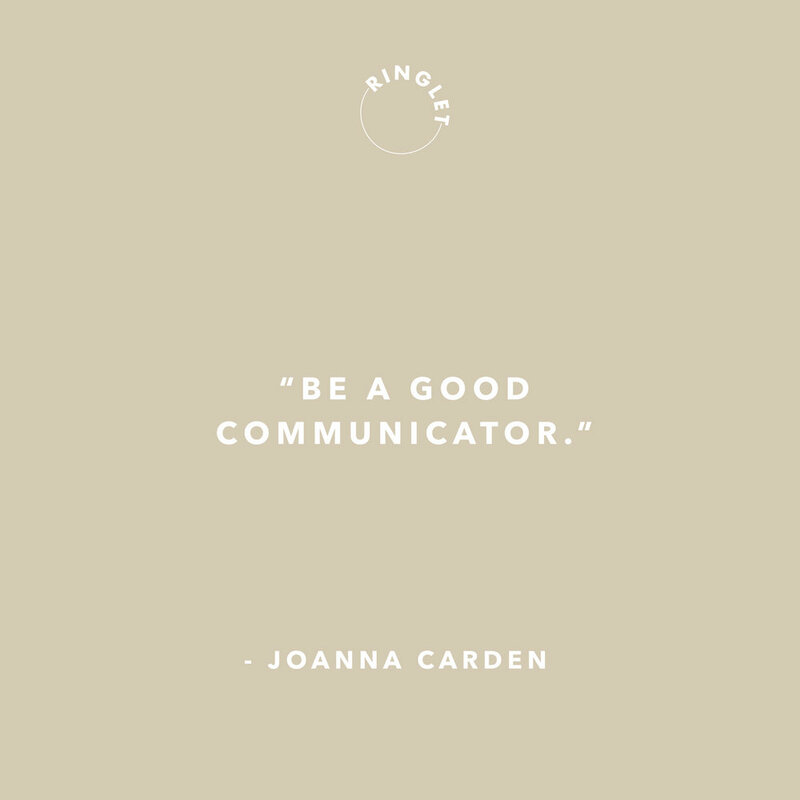 Be a good communicator. Always keep your client updated. It's easy to shy away from and emails and phone calls can be daunting it but can make the difference between happy clients that give referrals, and one's that...don't.